An intense, action-packed follow up. 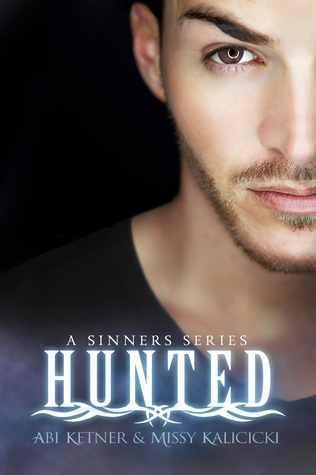 Hunted—the much awaited follow-up to the YA dystopian novel Branded—bleeds with intensity and nail-biting drama. Lexi and Cole are on the run and they don’t encounter a moment of peace. Nothing comes easily as they try to outrun Wilson’s merciless guards and avoid returning to the Hole… a place of brutal anarchy and cruelty. The novel is very plot-driven and focuses on their experiences while they’re in pursuit. I absolutely loved the first book—it felt as if I held my breath from the first page to the last— and while this one captured some of that addictive nervous energy, there were things that felt very different and made the experience a bit divergent from what I expected. Cole remains loyal to the death, willing to protect the woman he loves at all cost. I definitely felt his unfailing dedication to Lexi, and hers to him. I did, however, miss the angst of the forbidden romance… the coming together… the risking it all for love feeling that the first novel evoked. In this second installment, danger certainly surrounds them, but they are primarily together and their relationship is mainly advanced through the plot. They do face some challenges… a secret with the power to destroy their relationship, but it felt a bit forced at the beginning, even though by the time the secret was revealed, it was certainly worth the wait. Cole continues to struggle with the man he was versus who he is and wants to be for Lexi. Under the rule of the Commander, Cole had to shut off his feelings and do some unforgivable things. Could Lexi forgive his transgressions if she knew the extent of what he had done? Wilson is the true and worthy antagonist in the novel and what he does to the Sinners is atrocious. Cole and Lexi, along with some friends with whom they meet up, are doing everything humanly possible to avoid Wilson’s torturous vise, but then, everything changes when some of their worst fears are realized. They must face their enemy head on. One of the other issues that weighed on me (without going into details), was that I was looking for the confrontation the story was naturally leading up to, and it didn’t really happen. Ketner and Kalicicki did deliver a conclusion that was awesomely epic, but I nonetheless felt the absence of the encounter I anxiously awaited. So overall, mixed feelings on a story I’ve loved. Readers of the first book will thrive on the continued intensity and devotion between its two protagonists. I do wish some of the story’s elements were tightened, but reading experiences will likely vary in a story that is meant to get your pulse pounding and your heart racing. The story does end with a jaw-dropping moment that had questions swirling immediately. Click on the image to order from Amazon.